UP Polytechnic Entrance Exam 2018 (JEECUP) RESULT Will Disclose Online…….….. उत्तर प्रदेश UP पॉलिटेक्निक प्रवेश परीक्षा (JEECUP 2018) का रिजल्ट आज दोपहर २ बजे जारी कर दिया गया है । रिजल्ट देखने के लिए दिए गए लिंक पर क्लिक करो |UP Joint Entrance Examination Council of Uttar Pradesh will announce the results around 28th May 2018. We will notify you via this page when JEECUP result got announced. JEECUP 2018 was held on 22 April 2018. Now the process of analyzing the answers given by candidates is under way and the results will be processed soon. They can be checked from below link. On that page, just enter your roll number and click submit to get your result (after declaration). or visit jeecup.org to view the results. 29.05.2018: The candidates can search their result from the direct link provided below and answer books will also available online alongwith merit list. This Entrance test for Polytechnic 2018 was taken by Joint Entrance Examination Council of Uttar Pradesh (JEECUP), Lucknow on 22.04.2018 (Sunday) at various centres in UP State for take Admission in 1st and 2nd year Diploma Polytechnic courses in Engineering/ Technology, Agriculture Engineering, Diploma in PharmacyPost Graduate Diploma Information Technology & Lateral Entry streams under Board of Technical Education, UP. All selected students now gear up for counseling schedule issued by academic branch of UP JEEC. How to Check JEECUP Exam Result? Last year there were 68 Help Centres in 58 District, this year there are in 63 District 78 Help Centers will be opened also students need not to pay Security money of Rs. 3000/- which was submitted in Private Polytechnic Institutions. The date wise availability of Seats will be available before 10 days prior counseling……. Counseling Procedure: Following are instructions to be followed for online Counseling. 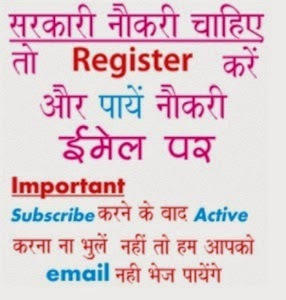 Click on ‘New Registration’ link. Fill in all the particulars in the Online Registration Form. Carefully review all the entries before submission. The candidate should supply all details while filling the Online Registration Form. The Registration Form mainly contains the personal details and contact details of the candidates. After successful submission of the data, a Unique Registration No. will be generated and it will be used to complete the remaining Steps of the Counseling Process and also required for all future correspondence.System will Communicate Candidate Registration Number on his/ her registered Mobile Number. Take the printout of the displaying candidate Registration Number. (For Further Proceedings). Click on ‘Download e-Challan’ link. Take the printout of this Challan Slip. (Print option– A4 size in Landscape). Make the payment through online generated Bank e-Challan at any branch of Punjab National Bank. Ensure that the Transaction Id given by bank should be clear and readable . Only Correct Transaction Id will be considered for the Updating Counseling Fee.Keep two slips of challan (which is Candidate Copy and CAC copy) with you. iv. Simultaneously user can visit his / her designated help center or document verification center to verify his / her document regarding his / her eligibility for appearing in the counseling. Click on ‘Choice Submission Login ’ link. 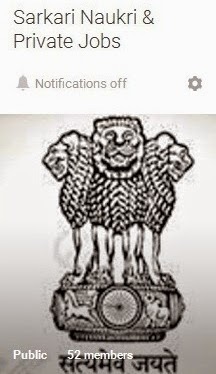 In case PIN / OTP has not been recevied or candidate has misplaced or forgotten PIN / OTP he / she can generate PIN / OTP for himself / herself by clicking ‘Resend OTP / PIN’. Please give Source: http://www.meriview.in/2014/06/up-jeecup-result-2014-www-jeecup-org-polytechnic-result.html. All the best.